Bottles from my early wine career; some stand out like beacons bright enough to spread the word of any land invasion. 1921 Château Margaux and 1929 Château Latour are still luminous in my memory. And '59 Grands Echézeaux from the DRC remains one of the finest bottles I have ever consumed. 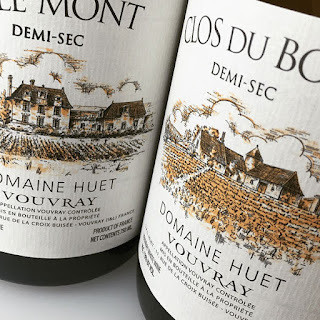 But award for the most unexpected goes to a wine I drank on a number of occasions, latterly over dinner at RSJ, that South Bank London restaurant the wine list of which runs deeply through the vineyards of the Loire Valley. That wine was the 1959 sparkling Vouvray from Gaston Huët. And I say sparkling, although in reality the merest vestige of gas remained under the bullet-like cork. The wine itself, however, was sheer heaven: a nutty, fascinating cream that delighted mind and palate alike. I tasted the current vintage a couple of days ago. The 2010 is extraordinary and, I suspect, will last for a very long time (if not the 35 years that the 1959 had survived before I sank my teeth into it). Aromas are firm and there's a hint of pine cone to the delicious scents of pear fruit, along with a wisp of honey. The palate offers rather rewarding richness, but this is a dry wine of immense drink-ability. It also carries excellent structure, which makes me want to forget about a bottle or two for many years to see what occurs. I suspect one would be very pleasantly surprised. Direct wine, with spice behind the light prickle of gas. A delight. And its bed fellow. Well, I suspect I won't sell much of this wine whatever I say. Why? Because it is off-dry and many people shy away from such things. But bear with me and you might be in for an out-of-palate experience, so good is this thing. I think that part of the problem with off-dry wines is that people are confused about when to drink them. This is a shame; they really are extremely versatile. All alone; with cheese; fruit puddings; spiced white meat dishes. I am happy to leave it to you to experiment! But this wine is simply gorgeous. It offers both enormous presence, but great elegance and an airy, almost weightless quality. Pear aromas are joined by a note like apricot and bits and pieces of apple and small orange. There's a fleeting impression of sweetness in the mouth before the seriousness of the structure kicks in. This is dense stuff. Pure orchard - mainly apple - fruit is bolstered by incisive, earthy-dense, firm grip. This is both long and really intense at the death. The core carries a green apple freshness. Wow. 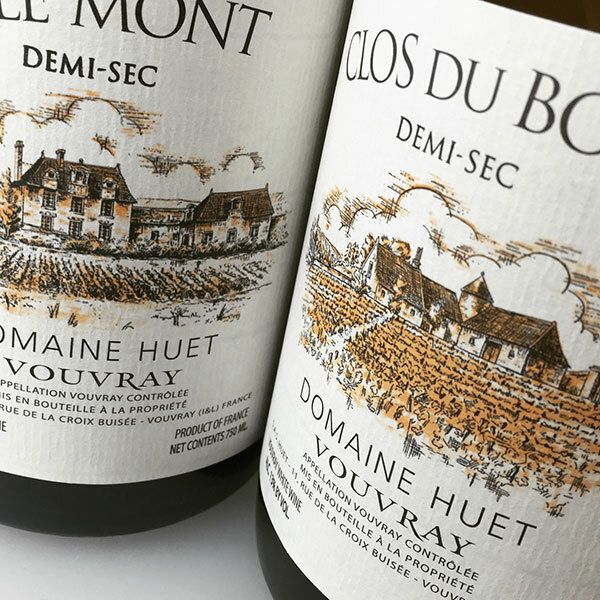 Taste this and then think about all those wine trade types who would argue that Chenin Blanc is "up there" with the world's best grape varieties and one would be quite happy to agree with them. A wine of consummate class.